It doesn’t matter how you give or how often. 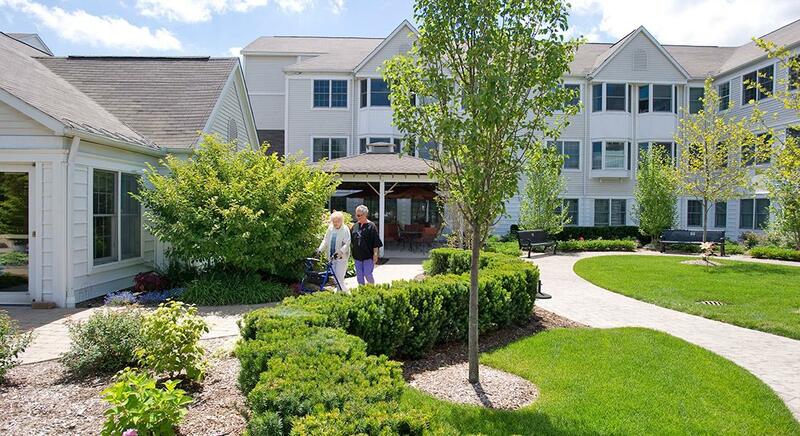 Rest assured that your financial gift has a huge impact on the quality of life and service Canterbury-on-the-Lake is able to offer residents and their families. For more information on financial giving, please email Susan Hammersmith or call 248.674.5390. Will or Revocable Living Trust. Designate a specific amount or percentage to go to Canterbury. A contingency bequest names Canterbury to receive the remainder of your estate if other beneficiaries are deceased or cannot inherit. A gift that establishes or contributes to a permanent endowment. Charitable Gift Annuity. Transfer cash or appreciated property in exchange for a fixed income (with rates based on your age) for the rest of your life. A Charitable Remainder Trust. Also an annuity trust, it pays out a fixed amount each year based on the value of the property at the time it is gifted. There is also the potential that your income could increase over time with growth in the trust. Insurance Policy. Give your life insurance policy to Canterbury and receive a charitable income tax deduction. Then make deductible contributions each year that we may use to pay the premiums. You can also designate Canterbury as the beneficiary of your life insurance policy. Beneficiary Designations. Name Canterbury the beneficiary on IRAs, CDs, commercial annuities, savings accounts and savings bonds. Also, if you are 70½ or older, you can make a gift of up to $100,000 to Canterbury from your IRA to meet your annual distribution requirement. By making an IRA charitable rollover gift, you will avoid taxes on the IRA distribution while supporting our charitable mission. Susan Hammersmith, Director of Development at Canterbury, would be happy to speak or meet with you to answer your questions about a financial contribution. You may call her at 248.674.5390 or email her.